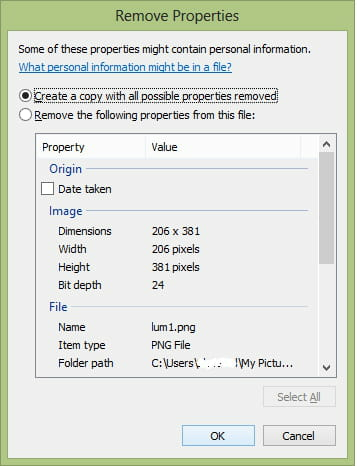 Individually remove the properties of your choice from the orginal file. Published by jak58. Latest update on July 19, 2013 at 04:43 AM by jak58. 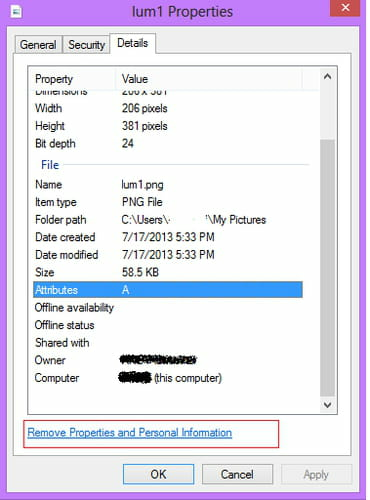 This document, titled "Windows - Remove Properties and personal information from your files," is available under the Creative Commons license. Any copy, reuse, or modification of the content should be sufficiently credited to CCM (https://ccm.net/).